The full metal body has an ideal weight balance. 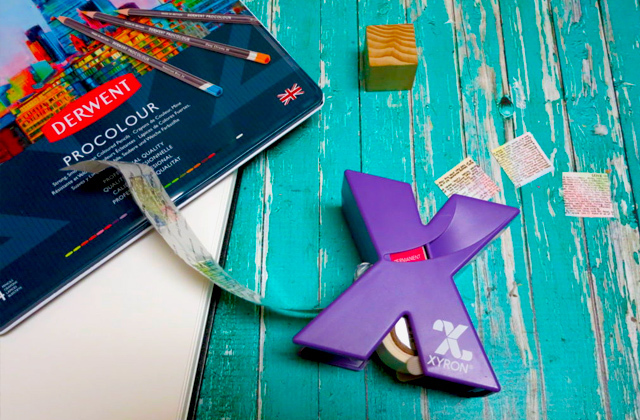 The hexagonal shape of the pencil makes sure it doesn't slide on tilted surfaces. 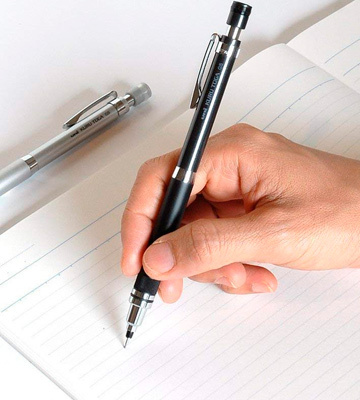 The sliding sleeve makes the pencil practically break-resistant and gives you excellent writing as well as doodling comfort. The red ring doesn't mesh well with the otherwise stern and sleek profile. Rotring Rapid PRO is easily the most impressive option on our list and one of the best mechanical pencils out there. 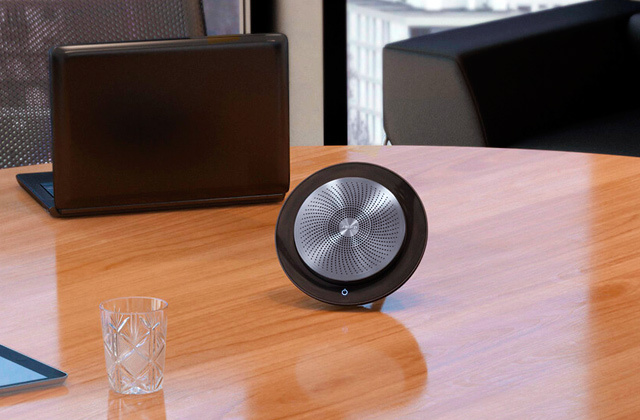 It combines an excellent appearance with an equally impressive level of functionality and practicality. All in all, an actual professional tool for all sketching, writing, and drawing applications. 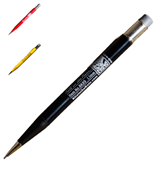 The pencil features a removable cap. 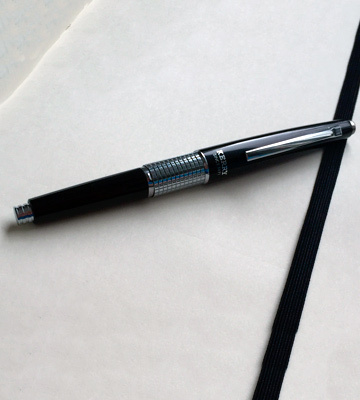 You put it on the ferrule and it gives the pencil the necessary balance as you write. 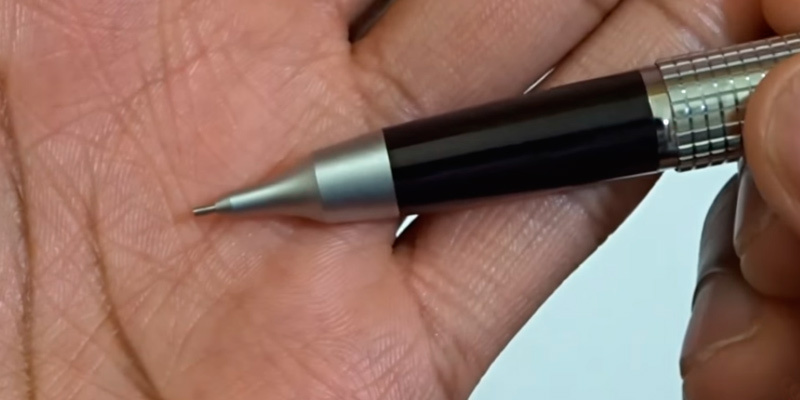 You put it back on the tip and you're able to protect your pocket from the graphite. The high-polymer HB lead always produces a clear dark line. The grip could use non-slip padding. 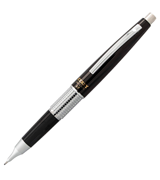 Pentel Sharp Kerry (P1037A) is a mechanical pencil with an elegant appearance similar to an expensive fountain pen. It comes in a really nice clear plastic gift box. Combine that with the model's well-thought-out design and black barrel profile and you have yourself a winner. The model comes equipped with an eraser hidden under the push-button. The 0.5-millimeter line size is neither too large nor too small. 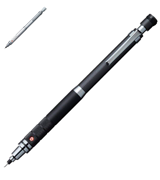 The lead rotating technology allows you to always write with the same thinness and density. Some may find the pencil a tad too light. Uni Kuru Toga Roulette is easily one of the most well-balanced mechanical pencils on the market right now. Its price-performance ratio is remarkable. Though flexible and versatile, the pencil is particularly suitable for people whose occupation or hobby require accuracy and precision. An integrated lead sharpener will allow you to always keep the tip in an optimal condition. The pencil has a nice little grip zone that keeps your fingers comfortable as you write or sketch for hours on end and a knurled metal grip that keeps your hand stable and balanced in the process. Artists and designers will love Staedtler Mars 780. The model gives you the convenience and reusability of a mechanical pencil but with the strength and durability of a traditional wooden pencil. As far as lead holders go, this is about as good of an option as any of them. The combination of durable resin, plastic, and metal make the model tough enough to survive any weather conditions. With its patented tip that makes sure the lead doesn't break, wobble, twist, or fall out, you'll be taking field notes while putting in minimal effort. The leads that come with the pencil write a little faded. If you don't like being stuck in a stuffy room and prefer taking your talents outside where nature can inspire and bring out the best in you, you should definitely consider giving the Rite in the Rain BK99 mechanical pencil a shot. 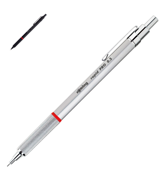 As far as we're concerned, mechanical pencils do not get any better than Rotring Rapid PRO. Its full metal body has that sleek, almost luxury appearance that makes the pencil look less like a piece of stationery and more like a swanky accessory. It has an ideal weight balance. The non-slip knurled metal grip is as comfortable as it is practical. The hexagonal shape of the pencil makes sure it doesn't slide on tilted surfaces. On top of that, the metal construction makes the instrument a highly durable one. The sliding sleeve makes the pencil practically break-resistant and gives you excellent writing as well as doodling comfort. 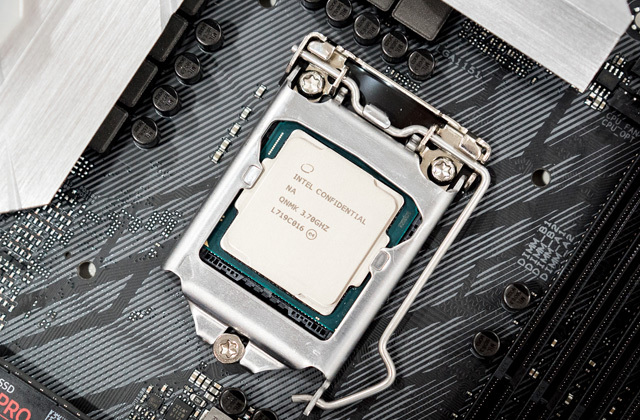 The only problem we have with its design and it is a small one is the red ring that separates the bottom part from the top. It just doesn't mesh well with the otherwise sleek and minimalistic profile of the pencil. On the flip side, the model comes equipped with a built-in sharpener that hides under the push-button cap. Other than that, we would also like to highlight the precise cushion lead advance mechanism. With it, you'll be able to extend the right amount of lead. 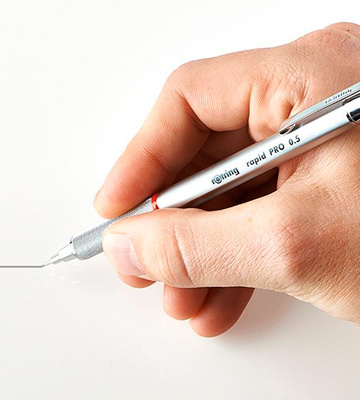 In short, Rotring Rapid PRO is easily the most impressive option on our list and one of the best mechanical pencils you'll ever find. 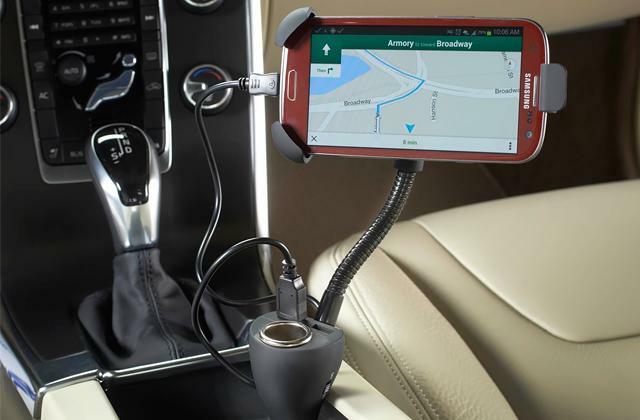 It combines an excellent appearance with an equally impressive level of functionality and practicality. All in all, an actual professional tool for all sketching, writing, and drawing applications. Pentel Sharp Kerry (P1037A) is a mechanical pencil that incorporates an elegant profile similar to an expensive fountain pen. The weight and balance provide the model with a feeling of luxury without making it too heavy for extended writing sessions. The design of this pencil is as elegant as it is practical. 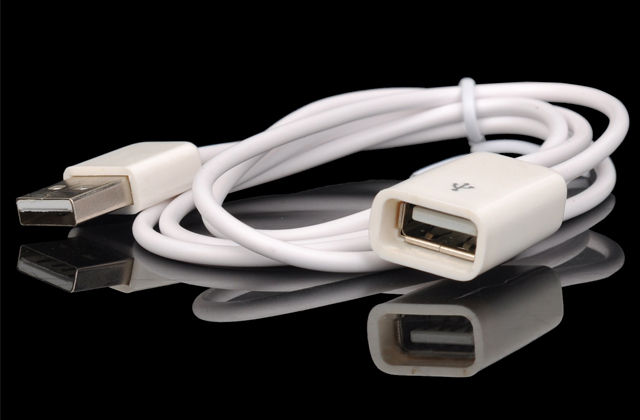 The model comes supplied with a removable cap. You put it on the ferrule and it gives the pencil the necessary balance as you write. You put it back on the tip and you're able to protect your pocket and/or your purse from the graphite. Generally speaking, the model's profile and the overall design are excellent from just about every point of view. But the grip could definitely use a non-slip padding/insert/anything of the sort. 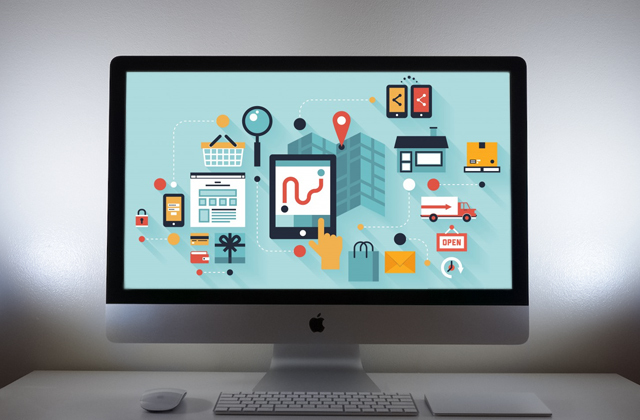 What it doesn't need, however, is extra leads. Why? Because the pencil comes pre-loaded with Pentel's high-polymer HB lead. The graphite in it always produces a clear dark line. It is as strong as the next lead and it never requires sharpening. In case that isn't clear already, this mechanical pencil also makes for an excellent gift. It comes in a really nice clear plastic gift box, so you can just send it someone's way without having to wrap it in a gift box. Combine that with the model's well-thought-out design and black barrel profile and you have yourself a winner. Uni Kuru Toga Roulette is the most affordable pencil in this review. 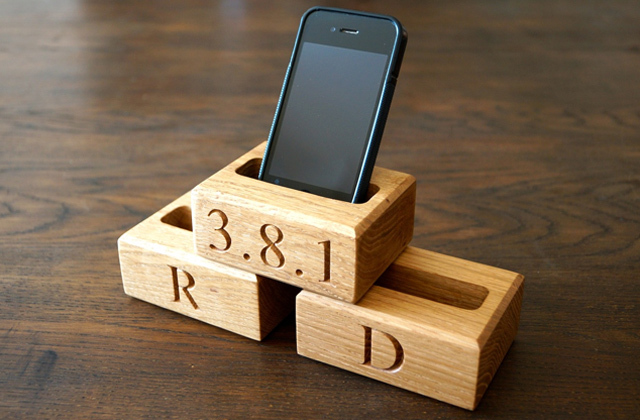 But we didn't add the model just because it's cheap. We have included it because, for its price, this is an excellent product. First and foremost, its gun metallic body is a real pleasure to look at and deal with. Equally attractive and practical, the pencil is just as suitable for drawing as it is for sketching and writing. It comes equipped with an eraser hidden under the push-button, nothing we haven't seen before but an always welcome addition and a nice surprise considering the modest price tag. 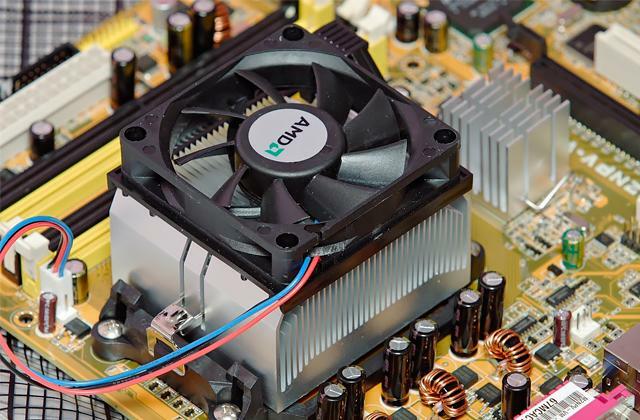 The 0.5-millimeter line size is neither too large nor too small, again making the model flexible and versatile enough for different applications. 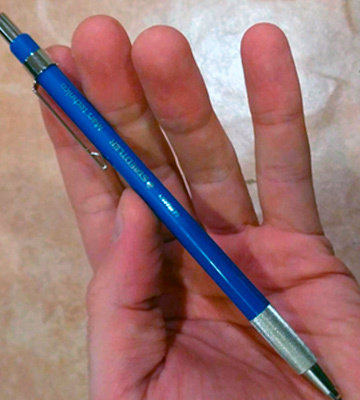 Some may find this mechanical pencil a little too light. Then again, it might just prove the perfect weight and size for you. But the biggest selling point of this pencil and, frankly, the main reason why we've included the product to this review is the lead rotating technology. 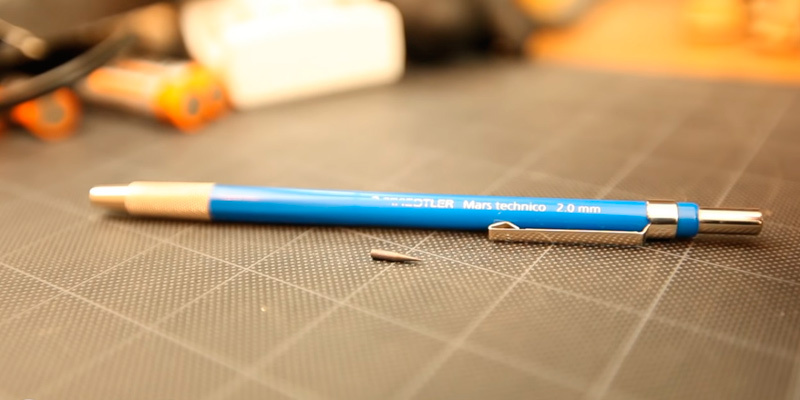 There's a little engine inside the pencil that its core rotates little by little as you write. 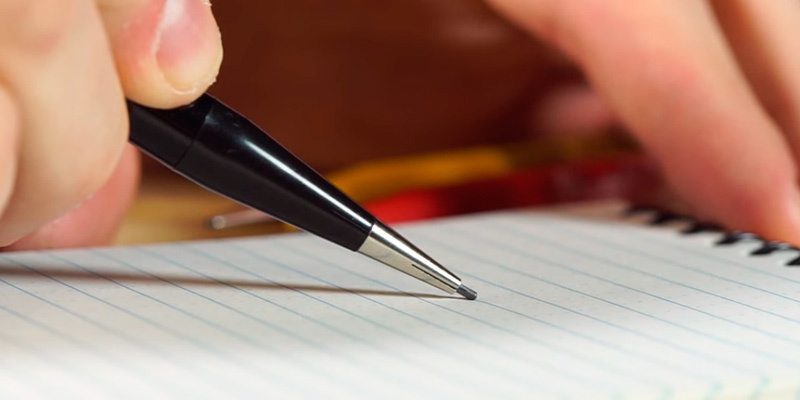 A technology like that allows you to always write with the same thinness and density. In other words, Uni Kuru Toga Roulette is easily one of the most well-balanced mechanical pencils on the market right now. Its price-performance ratio is remarkable. Though flexible and versatile, the pencil is particularly suitable for people whose occupation or hobby requires accuracy and precision. Staedtler Mars 780 is a mechanical pencil that presents German engineering at its absolute best. 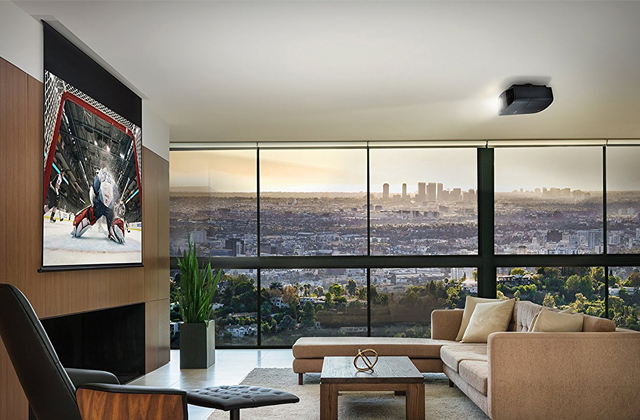 It does not include a single unnecessary detail but everything that it does include has been refined and designed with remarkable attention to details. Though minimalistic, a combination of blue and mirror silver creates an ever so slight but noticeable contrast that really elevates the otherwise stern appearance. There's the usual metal clip that allows you to hang the pencil onto your shirt's pocket, notepad, or anything along these lines. Unfortunately, it does not include a built-in eraser, a slight oversight on the manufacturer's part as far as we're concerned, though some probably don't care for it and prefer to carry a separate one anyway. 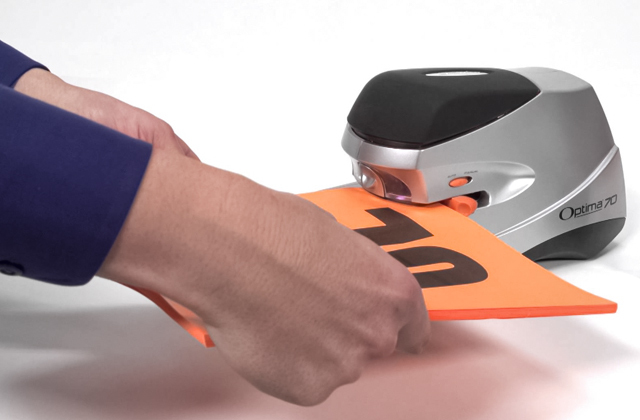 What it does include, however, is an integrated lead sharpener that makes sure the tip always produces a clear dark line with a similar level of thinness and density. 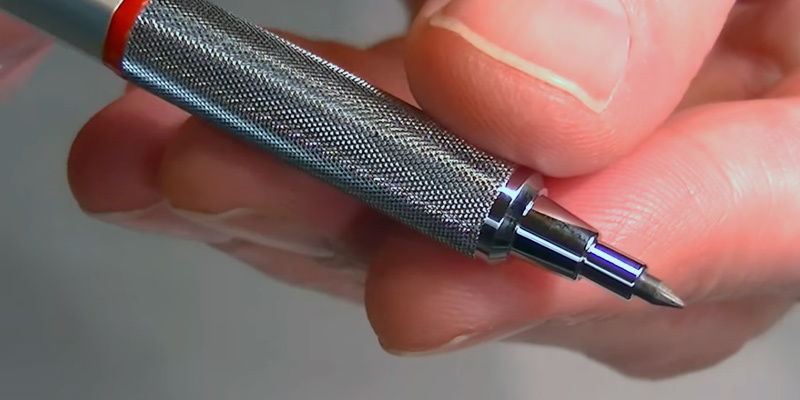 It also has a nice little grip zone that keeps your fingers comfortable as you write or sketch for hours on end and a knurled metal grip that keeps your hand stable and balanced as you do those things. In conclusion, artists and designers will love Staedtler Mars 780. The model gives you the convenience and reusability of a mechanical pencil but with the strength and durability of a traditional wooden pencil. As far as lead holders go, this is about as good of an option as any of them. Buying a new pencil every couple of months hardly sounds like something most people would be interested in doing. 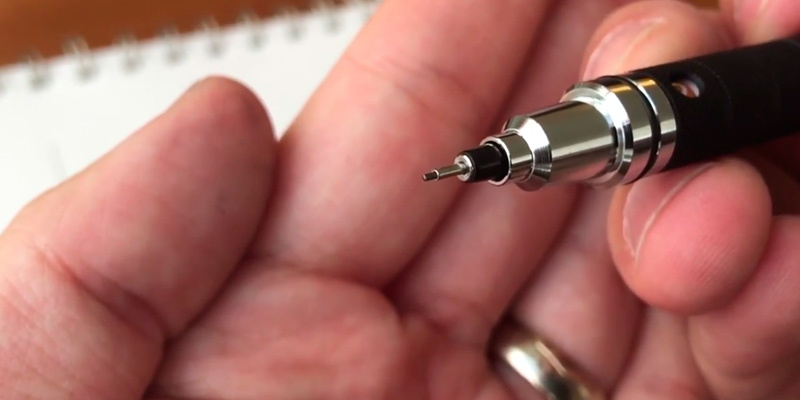 The whole idea of a mechanical pencil is that it doesn't have to be constantly thrown out for a new one. Well, with Rite in the Rain BK99, you definitely won't have to do that. This pencil is the definition of durability. But, of course, with a name like that, there's only one place to start and that's the exterior. The combination of durable resin, plastic, and metal make the model tough enough to survive any weather conditions. Add to that the 1.1-millimeter thick lead and you get smooth, bold markings. With a lead like that, you'll be able to write down important notes in any weather conditions. Drawing, sketching, or taking notes outside can be a nice change of pace from the classroom or office setting. Problem is, you'll seldom be as physically comfortable there as you're at a table. But, with the model's patented tip that makes sure the lead doesn't break, wobble, twist, or fall out, you'll be taking field notes while putting in minimal effort. Finally, in addition to the pencil itself, the company supplies you with 7 leads (with an HB hardness) and 2 extra erasers, so you'll be able to stock up right from the get-go. To rephrase it, if you don't like being stuck in a stuffy room and prefer taking your talents outside where nature can inspire and bring out the best in you, you should definitely consider giving the Rite in the Rain BK99 mechanical pencil a shot. People seldom write by hand these days. And it is a real shame since the method has a range of health benefits over typing. But it doesn't really matter how frequently you switch between typing and handwriting. Though often reliable, computers and the Internet can fail you, while a trusty pencil will always be there for you. Everyone should have at least one pencil at hand. 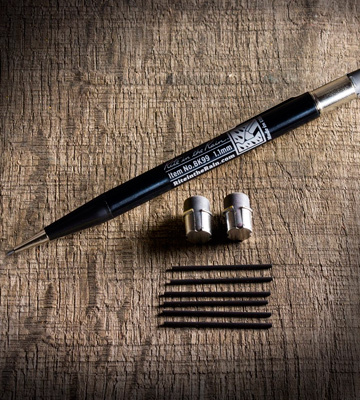 But, instead of a regular pencil, we would rather recommend a mechanical one. 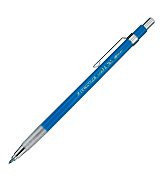 More or less common knowledge at this point, a mechanical pencil is any pencil that comes equipped with a long-lasting, replaceable, and mechanically extendable/retractable solid pigment core. Commonly referred to as a lead, this pigment core isn't bonded to the outer casing. Unlike their subpar traditional counterparts, mechanical models provide lines of constant width. You don't have to sharpen them and can always rely on these pencils when it comes to technical drawing as well as quick, neat writing. They're equally great for school and office use. 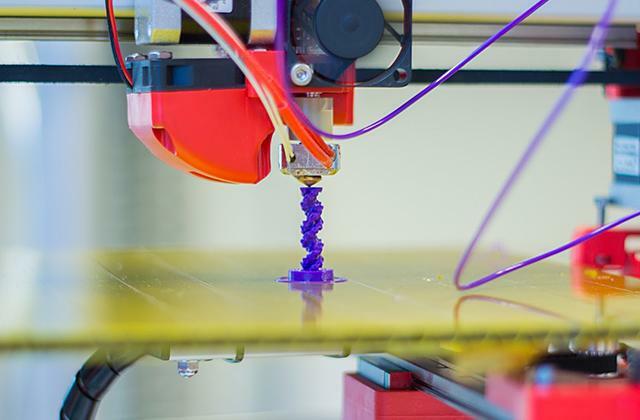 The difference between mechanical models, however, usually boils down to the size, level of hardness, and a few extra features that may or may not improve your experience. Prefer traditional pencils to their mechanical counterparts anyway? That's fine too. 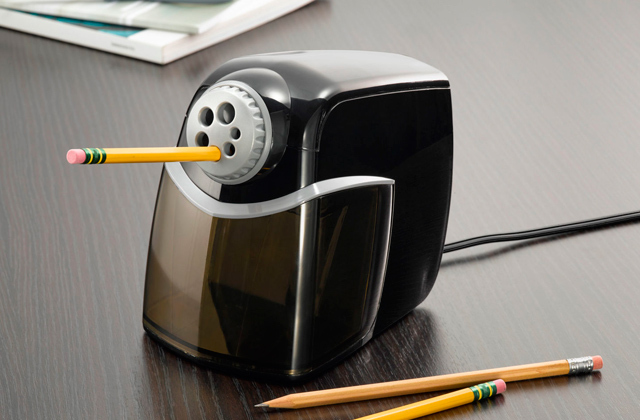 For you, we have a selection of electric pencil sharpeners. And for those who have given up on the admittedly obsolete technology, we offer a choice between some of the best stylus pens on the market today.